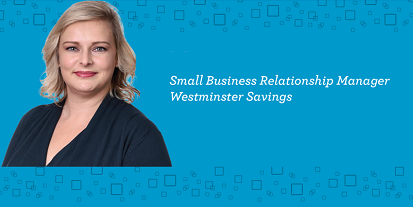 Hi there, my name is Jacqueline Holwill and I am a Small Business Relationship Manager at Westminster Savings Credit Union for the Cloverdale area. As a Small Business Relationship Manager, I offer customized banking solutions that are personalized specifically to your business’s unique goals and challenges. I offer sound advice to help our customers grow their businesses and identify cost-saving opportunities. I use a collaborative approach that leverages our existing cross-platform relationships to provide a more holistic customer experience. These relationships include Commercial Services, Financial Planning, Leasing and Retail Banking. Externally we partner with various accountants, lawyers, notaries, real estate agents and other business professionals that we feel provide value to our customers. We currently have a limited time welcome offer for new business customers: open a business chequing account and receive up to a $600 value in Welcome Banking Bonuses! Interested? You can reach me at 604-549-2494 or jholwill@wscu.com to learn more.